Even though I tried, my daughter would never take a dummy when she was a baby. 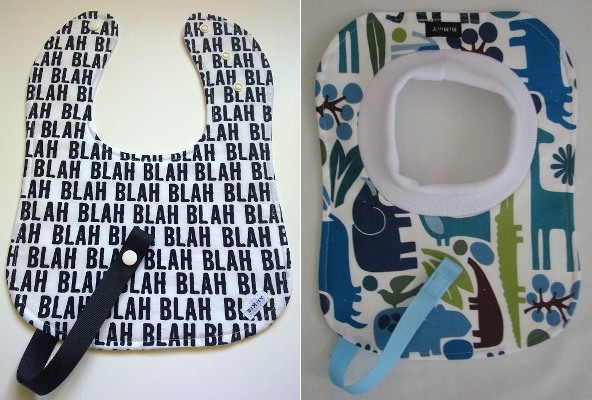 But if she had, I know I would have loved these bibs. “Bibs? !” I hear you say. Weren’t we just talking about dummies? Yes, but this is no ordinary bib, you see. It’s a bib and dummy (or favourite teething toy) chain in one! Aptly named Bibs For Dummies, the bibs – or ‘BiMmY’, as they’re called – are a pull-over bib with an attached colourful ribbon to hold a favourite dummy securely in place. The BiMmY takes care of it all: no more lost dummies, no more food or dribble mess and they look delectable to boot. 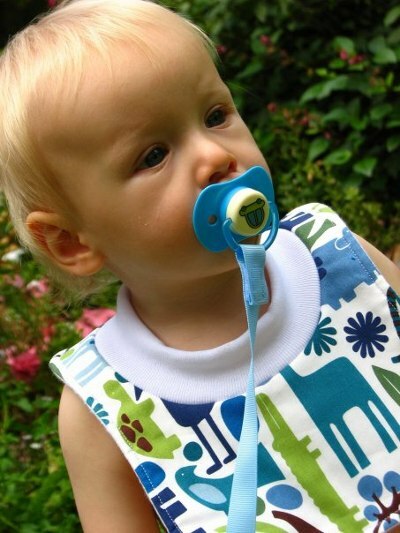 Each bib is handmade in Adelaide with double flannelette backing combined with designer cotton fabrics. The pull-over style is suitable for most babies up to six months of age. There’s also an option for the bigger babes with a one-size-fits-many snap style. Skip on over to Made It and visit the Bibs For Dummies shop. Bibs are $16 each plus postage.